Announced by Antonio Baravalle, Alfa-Romeo executive vice-president, yesterday (December 6) at the Bologna Motor Sshow, the company has plans to race a GT2 version of its 8C model in 2008 – writes David Legangneux. The Alfa 8C Competizione will be developed “to race in classic events such as the 24 hours of the Nürburgring, Le Mans and Daytona” – suggests L'Equipe today (rather confusingly, bearing in mind the different regulations for Daytona), and there will be “an important American programme”. The 8C was unveiled at the Paris Motor Show, and the first road cars will be delivered in mid-2007. 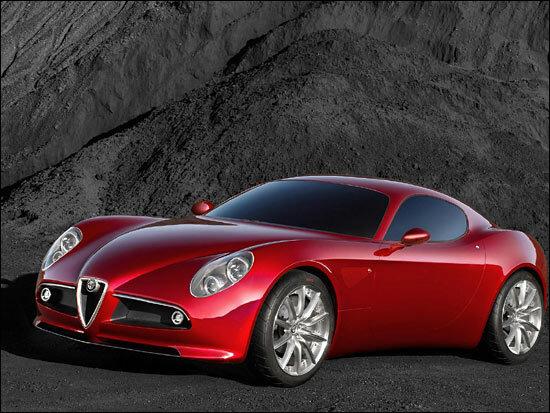 The Alfa 8C Competizione will be developed next year and the first race is scheduled for 2008. The racing programme will be finalised bearing in mind the activities of fellow ‘family members’ Ferrari and Maserati. So racing against the 430? The original 8C won Le Mans four years running, from 1931 to 1934.